He Is More Than A Friend To Tarak! After the truly unfortunate incident which happend on 29th of August, the entire film industry came to a stand still. After the untimely demise of Sri Nandamuri Hari Krishna garu, there is a void felt in everybody's heart for loosing such a humble personality. 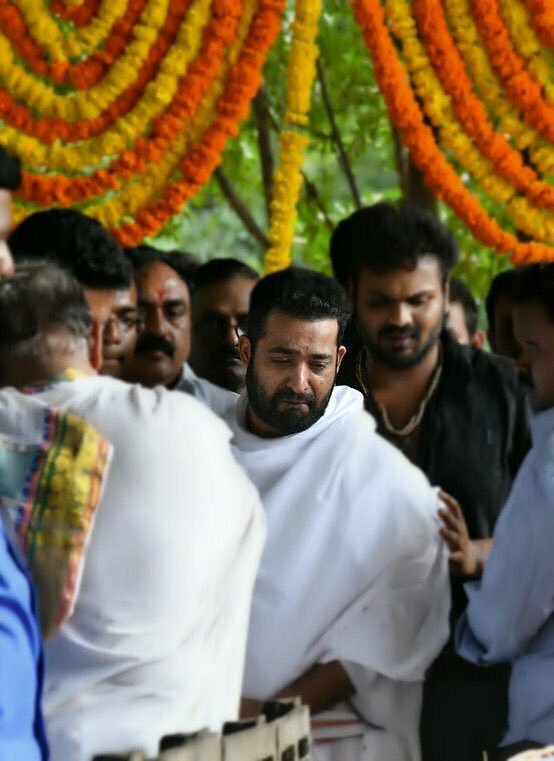 Jr NTR who shares a very strong bond with his father seems to have devastated with this tragic incident. 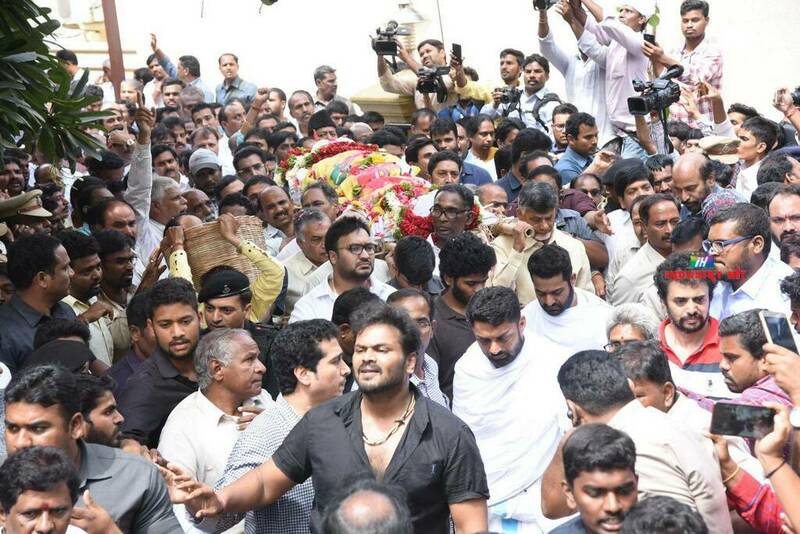 Many film personalities and political leaders extended their support in the last journey of his father along with his uncles CBN and NBK. A special mention is necessary here about the hero Manchu Manoj who stood with NTR through out as a strong pillar of support. He not just followed the Nandamuri brothers in the final journey but also guarded them from the mobs. He shares a special bond with NTR as their parents Mohanbabu and Harikrishna do, coincidentally they both are born on the same day and the names of their wives are also almost same. Lakshmi Pranathi and Pranathi. Manoj is appreciated by the fans of NTR for standing with him in this hour of need and are thanking him for being with their Anna as a support. Manoj indeed proved that he is more than a friend and is almost like a brother. He even tweeted that he will be there for the family for the life time. Great heart Manoj. God bless you for your kind gesture and may your bond prevail for the life.